With over 45 years of experience, we know what it takes to succeed in real estate! Our Realtors® are smart, capable and truly enjoy their work. They approach their career with confidence because they’re part of a great team that is equipped to succeed. Guidance and insight from seasoned managers, affiliates and administrative staff will position you at the top of your field! Our experienced managers help you confidently navigate situations that may arise in a transaction and will accompany you on appointments to secure listings. Our administrative staff handles the details so you can stay on the move, doing what you do best. Our title, mortgage and appraisal experts are in-house and always accessible for fast, trusted answers. Beiler-Campbell offers individualized training that fits your needs and prepares you for success including one-on-one coaching, small group classes and webinars. Here's just a taste of topics we cover; online marketing, industry technology, lead generation and conversion, business generation and more. Email Jennifer D'Amico to review our complete education program. Our team is here to make your job easier – and to make sure you succeed as a Realtor®. We equip you with tools to grow your business including developing an online professional presence on Zillow, Trulia, REALTOR.com and others, market watch marketing pieces, listing presentation materials, e-cards, and more. Your listings have optimal exposure with multiple websites, MLS support, social media, network of Beiler-Campbell agents, co-op agents, investors and company referrals. We enable you to work efficiently with tools including Dropbox, zipForm and DocuSign, MEA tax records, sales and listing packets and much more. • Our company owners live locally. We have a heightened responsibility to do business in a way that benefits our entire community. • Well-established and growing for over four decades, we’ve earned our community’s trust and respect. We know this market – and our Realtors® benefit from our strong base of business referrals. The Realtors® at Beiler-Campbell are the best in the business. 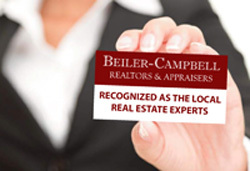 Well respected and sought after for their market knowledge, our agents value their partnership with Beiler-Campbell. Hear from them why they choose us to be their Broker! • Typically, a Realtor’s median tenure with a brokerage is 3 years. At Beiler-Campbell, the median is 10 years! In fact, about half of our agents have been with us for over a decade. • What is the entire compensation package including insurance, fees and splits? • What is the ratio of Realtors® to manager? How long do Realtors® typically stay with the company? • How long has the company been in business and what is their local market share? • Is the company culture a good fit for your personal values? • What types of ongoing training will you receive? How far will you have to travel for training? • Brokers typically follow a "traditional", "pyramid" or "100%" business model to determine commission schedules. Each of these structures have different ways of splitting up the pie. • It is important to understand the entire compensation package and have a clear picture of elements that will effect your income including fees, graduated scales and business costs. As you consider commission rates, it's essential to examine the costs associated with each broker. • This topic is one you need to diligently search out the true income/costs of the brokers you are considering. 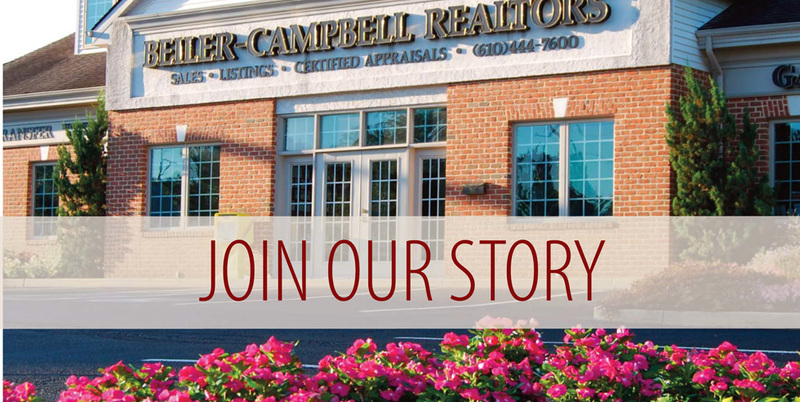 Let's sit down and discuss the business model at Beiler-Campbell Realtors. You will come away with a clear understanding of fees associated with NAR, PAR and your broker so that you can make a well-educated choice. To arrange a time email Jennifer D'Amico. Are you are a seasoned Agent, looking for a new career or re-entering the work force after some time off? I'd like to discuss the possibilities of a career in Real Estate with you. Contact me and I can share information on how to obtain a license, job expectations and the costs involved.